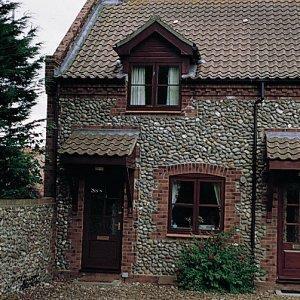 Both cottages are traditional flint design. Situated in the Georgian town of Holt. Ideal for exploring coast, countryside, bird watching, walking and sailing. Above average accommodation and equipment. Small patio garden with furniture at Crowlands. Detailed description and photo by return. Open all year. Non smoking Children welcome from any age.